This post is brought to you by ILoveToCreate and Blueprint Social. The opinions are my own. 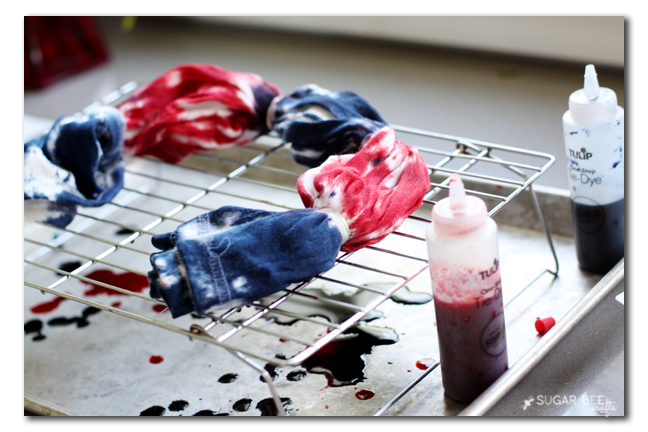 If there’s one craft that defines summer, it’s Tie Dye, am I right?! 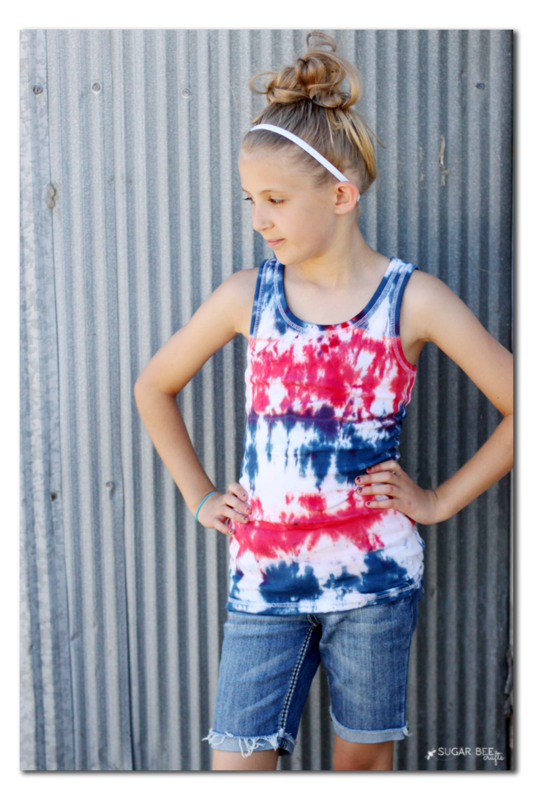 We usually tie dye at least once each summer- it’s so just fun and easy and we love it! 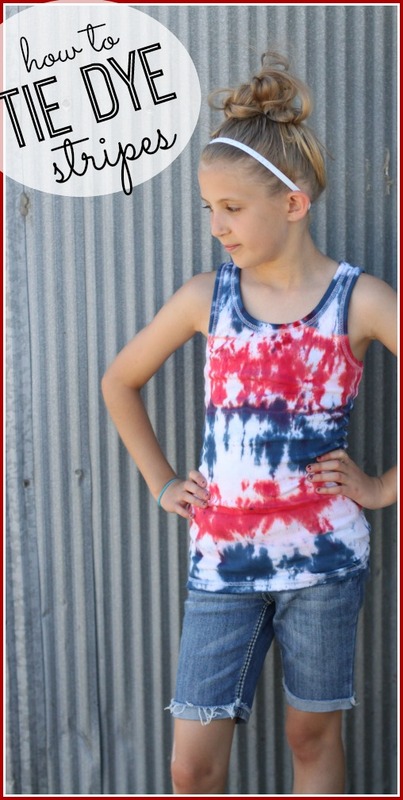 Yep, Tie Dye Your Summer!! 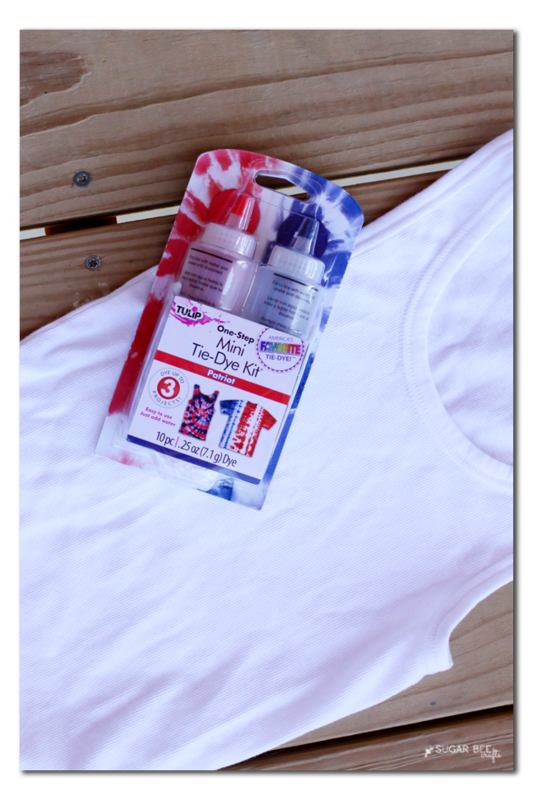 This year we tackled red and blue stripes (to stick with the summer vibe and the Red White Blue Series) and I’m here to walk you through the technique. First things first, you’ll want to prewash your shirt. This will help the dye soak in better. Also don’t use fabric softener when you wash it. 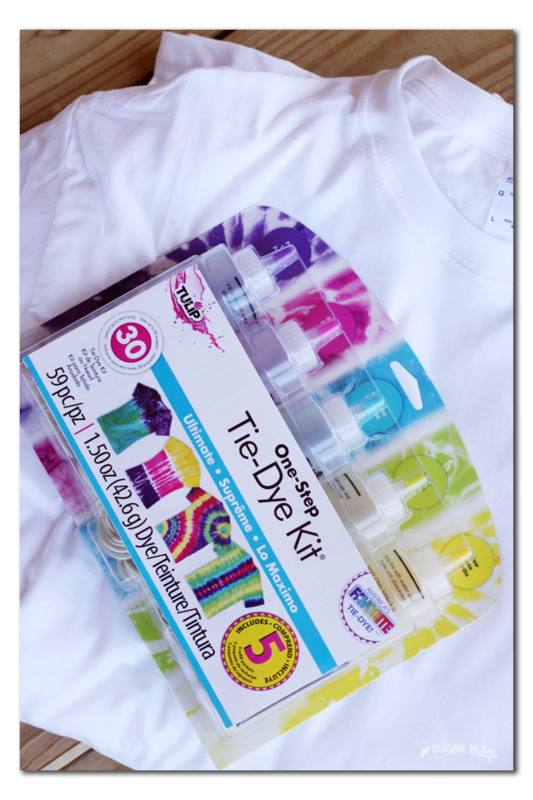 Then grab your Tulip Tie-Dye Kit from I Love to Create – I love how they come in awesome color packs! And I like to grab several things to dye at once so you don’t waste the excess dye. Next I gathered up the tank, long and skinny. I eyed where I wanted the color stripes to go and marked it off with rubber bands. 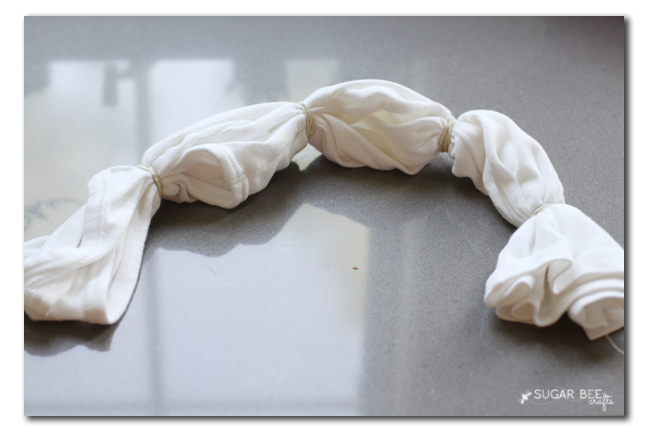 Then wrap the rubber bands around in those spots. You’ll dye each section a separate color. Now you’re ready to dye! 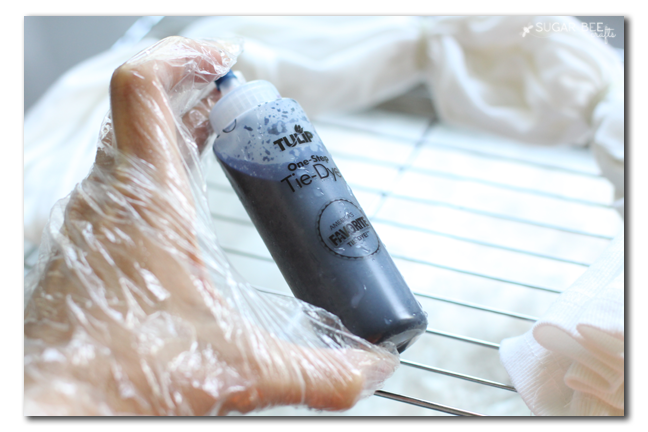 To keep it mess-free, put on the provided gloves and set aside a dye area. Just fill the pre-prepped bottles to the fill line and shake, and you’re good to go! I used a cookie rack on top of a cookie sheet. That way the tee doesn’t sit in the excess dye. After you dye it, you wrap it in plastic wrap and let it sit about 6-8 hours. 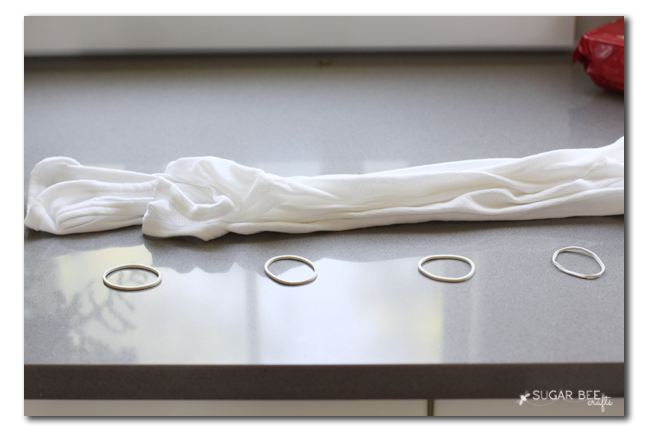 Then unwrap, rinse and wash. And it’s good to go. See, easy peasy!! Look at how fun it can be! And it’s a hit! 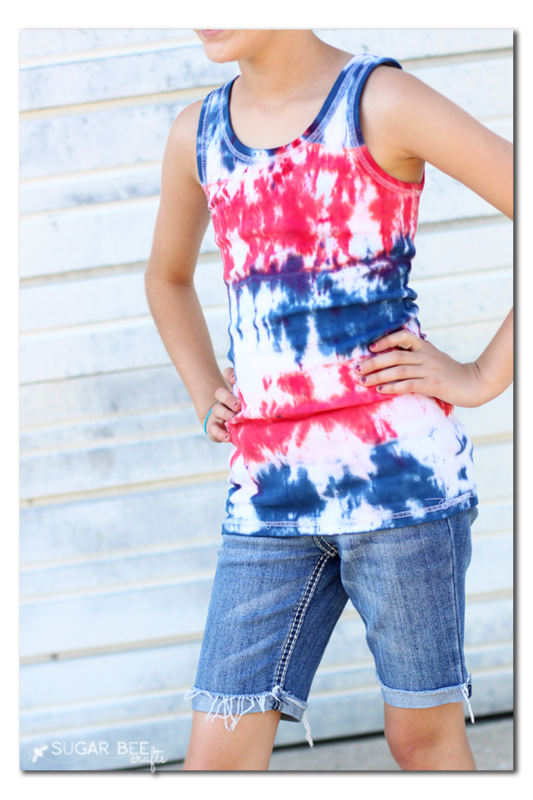 Everyone loves tie dye!! Be sure to follow I Love To Create on your favorite social media!